GSC has been into architectural glass processing since 1978 and is a technically strong company owned by a family of engineers with four generations of working experience with glass. 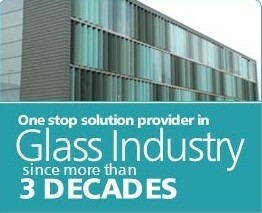 We are pioneers and industry leaders in the field of glass supply, design and solutions in India and a one stop shop for all glass needs. We have the widest range of glass processing facilities using the most modern high tech machines and equipments at our factories located at Greater Noida and Mumbai. We manufacture complete range of stainless steel fittings, spiders and connectors for the glass. Our Aluminum Windows division enables us to offer complete jobs for building envelop. Our ‘TRUTUF’ brand of toughened glasses is already approved as ‘OE’ supplies to Telco, Mahindra & Mahindra, Bajaj Tempo, Ashok Leyland, Ruby Coach, Hindustan Motors etc., through their window fabricators – M/s. Auto Window and Suvega group of Industries. (CNG) : We are the only approved source of supply of PVB Laminated Wind Screen Safety Glasses to the CNG bus bodies of DTC. PRIVATE : Azad/Jaico Group – Bangalore/Jaipur, SM Kannappa – Bangalore, ACGL- Goa, ELGEEBEE – Karur, Sutlej – Jalandhar, Utkal Autos – Jamshedpur and many other reputed Coach Builders all over India. STUs : We are also the approved source of suppliers to the RSRTC Body building for supply of both flat and curved toughened glasses. Besides, other STUs like Haryana Roadways, UPSRTC, MPSRTC, APSRT, HPSRTC and various Tamil Nadu Corporations are also amongst our regular clients.